Referencing in the APA style. It is important to use in-text citations to identify where you are referring to another's work or idea. You should use an in-text citation either when you are using a quote, or when you are paraphrasing. The purpose of an in-text citation is to lead the reader to the correct entry in your reference list. Your in-text citation should contain enough information to achieve this. When quoting a sentence or paragraph, a page number is required. However, if summarising the source as a whole, there is no need to place a page number. For online sources use page numbers if provided, otherwise, use paragraph numbers. Where the work has no identified author, use the first few words of the reference list entry (usually the title) and the year for your in-text citation. See lots of examples of in-text reference layouts in the table below. A 'quotation' is a word-for-word copy of another author's work. If the quotation is less than 40 words in length (short quote), then it should be incorporated into the text and is enclosed with double quotation marks. Always include the name of the author, the date of publication and the page number. ... children are very adaptable. However, "it is no surprise that we are much better at recognising negative signals than positive ones" (Smith, 2011, p.36). If the quotation is more than 40 words in length (long quote), then do not use quotation marks, but indent and use double spacing. Governments have occasionally produced reports on the merits of privatization, incorporating 'expert' assessments of likely sale and retention values. This is progress, of a kind. It does, after all, provide the community with opportunities to scrunitize major proposals for assets sales - opportunities long available in the private sector. (Walker, 2010, p.140). 'Paraphrasing' is when you express something in a concise, condensed 'different' way to the author's original words. This is also known as summarising. The purpose of a paraphrase is to clarify, in your own words, the essence of the original communication. When paraphrasing, it is still necessary to provide an in-text citation to indicate where the ideas have come from. Watch this helpful Powerpoint presentation, which explains the 8 steps of good paraphrasing. Reproduced and made available for copying and communication by WA training providers for its educational purposes with the permission of blaugh.com. Important: Remember that quoting, summarising and paraphrasing (even when referenced) should not make up your whole assignment. 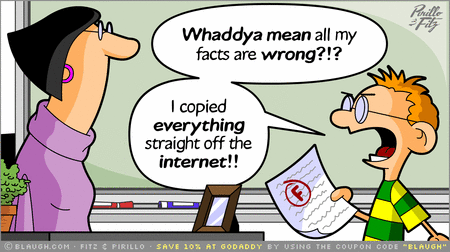 Click on the links below to find out how to use information ethically and how to avoid plagiarism. Our self-paced referencing course can be done when and where you want and includes everything you need to get you started with referencing. Our Quizzes allow you to check your progress.